Figure 4 of Kojima, Mol Vis 2010; 16:2457-2464. Figure 4. 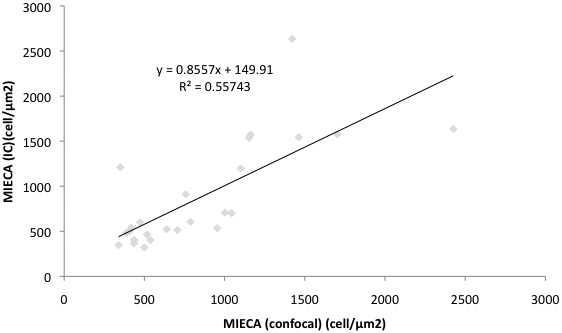 The correlation of mean individual epithelial cell area(MIECA) assessed by impression cytology and in vivo confocal microscopy. Note the linear positive correlation for MIECA assessed by both examination techniques.